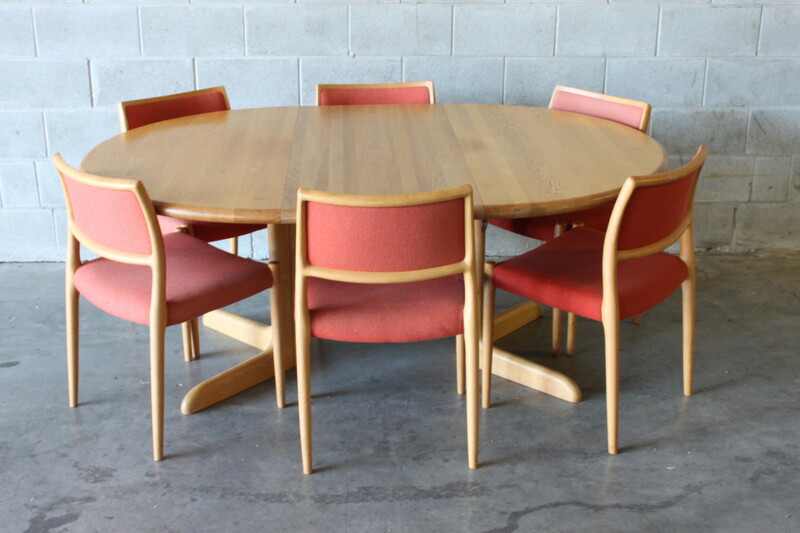 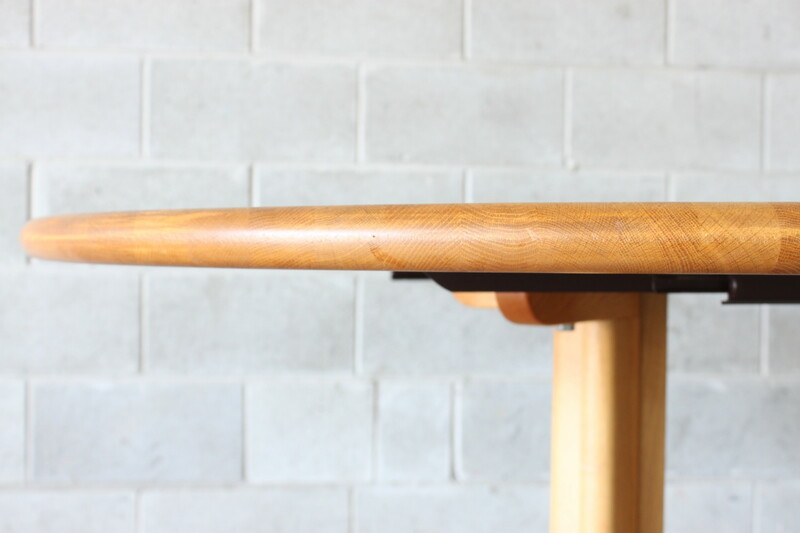 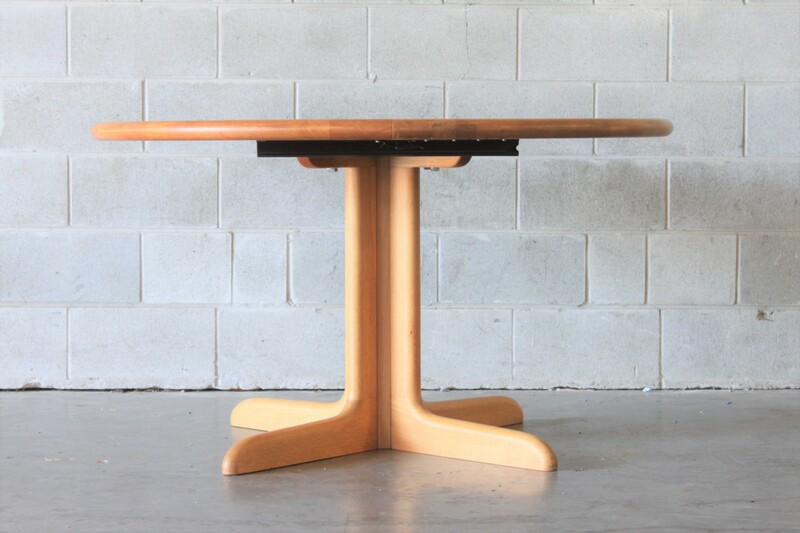 A blond oak dining table by Niels Moller it is a single/split pedestal solid oak dining table. 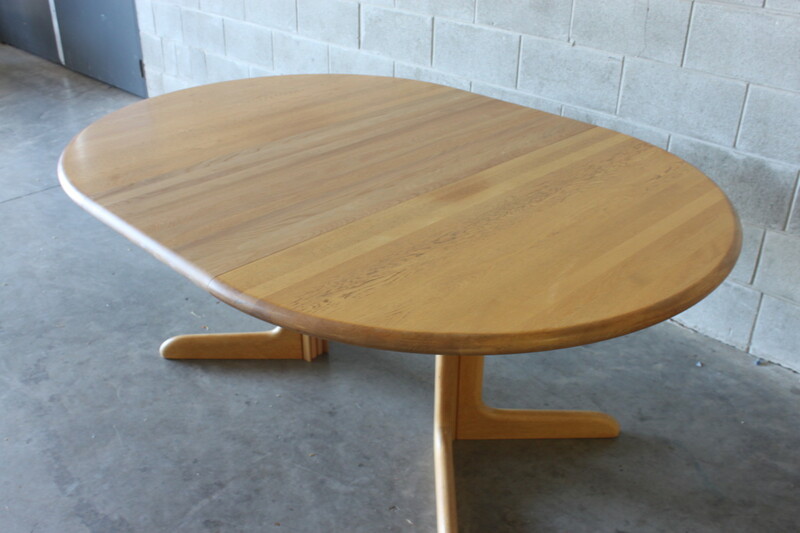 Typically tables of this period are veneered so nice to see a high caliber solid top table. 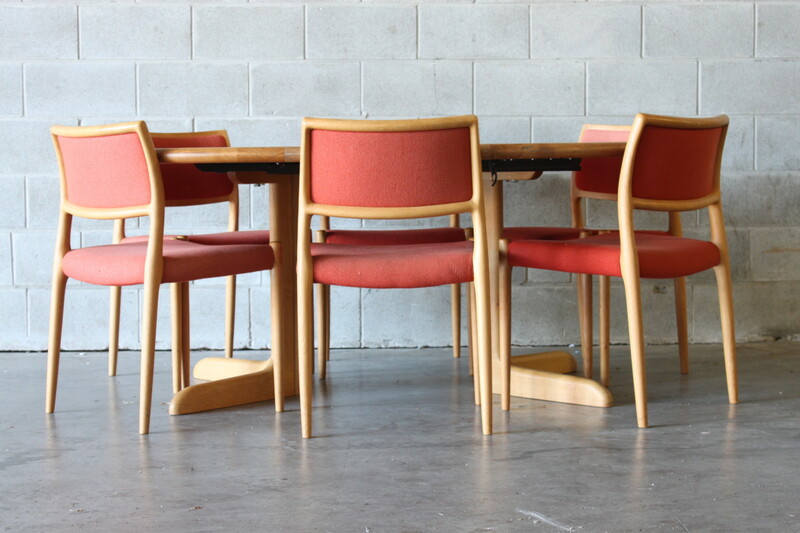 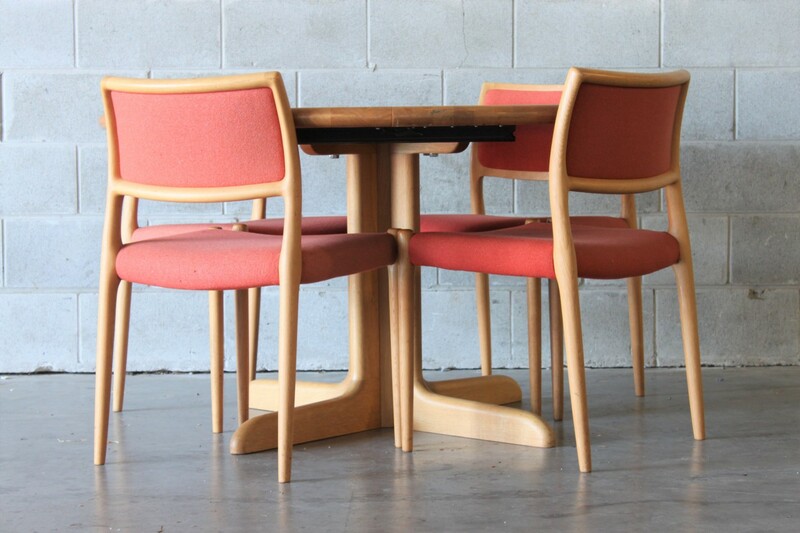 Pair this up with our moller model #80 chairs.